Very affordable zero gravity chairs! 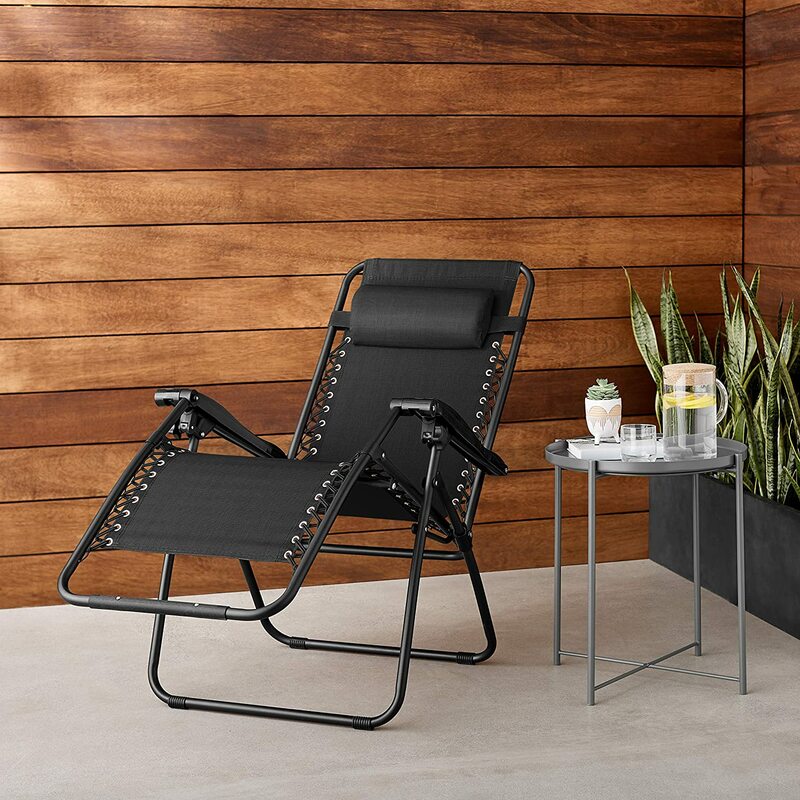 Buying an outdoor zero gravity chair doesn’t always have to be costly and there are some fairly good outdoor recliner chairs available for under $50. 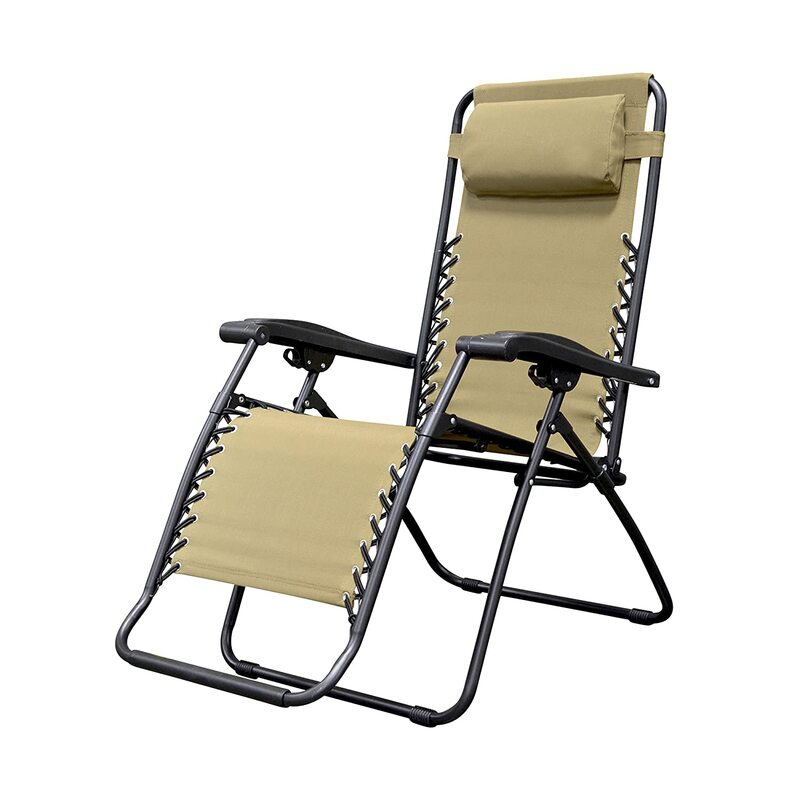 The cheapest single zero gravity chairs for the outdoors are generally available for around $40. You can however, cut the cost even more should you wish to purchase a set of two zero gravity chairs. For example. At the time of writing the Caravan sports infinity zero gravity chair (featured below) costs around $40 for a single chair. But for the Caravan Canopy set of two zero gravity chairs (pictured right) the current price is around $75 giving you a $5 saving. Although $5 isn’t a great amount to save, buying a set of two zero gravity chairs can be a cost effective choice. It also means you will have a spare chair for your partner, family members or friends to use. So are cheap zero gravity chairs any good and what features can you expect? As you may expect zero gravity chairs under $50 are not going to be the best available, however they are pretty good for the price. When spending only $50 on a chair you can generally expect fairly good quality as long as you manage your expectations accordingly. Chairs in this price range will be fairly slim in design and aimed at smaller users. There are however, some fairly low priced extra large zero gravity chairs also available, such as the Caravan Sports oversized gravity chair which currently costs a little over $50 (hence why it is not included in this under $50 list). Most chairs in this price range will have a weight capacity of 300 lbs, although there are some you may find that have a lower capacity of 250 or 275 lbs. Single zero gravity chairs in this style will have bungee cord support attaching the seat fabric to the frame of the chair and they will come with an adjustable head rest pillow. They will also feature locks under the plastic arms of the chair that allow you to lock the chair into multiple recline positions. While the majority do rate these low priced chairs fairly highly, they are not always perfect. One of the main complaints with lower priced zero gravity chairs is the reclining locks are not the best. On certain chairs under $50 you will see a few reviews stating that after a while the locks lose their traction and the reclined chair slides gradually out of position. Some also mention how slim this style of chair is. This however, has already been mentioned and there are some wider outdoor zero gravity recliners available, they are generally priced a little over $50 though. The last and probably most concerning issue is that some users find the cheaper gravity chairs collapse and break under their weight. 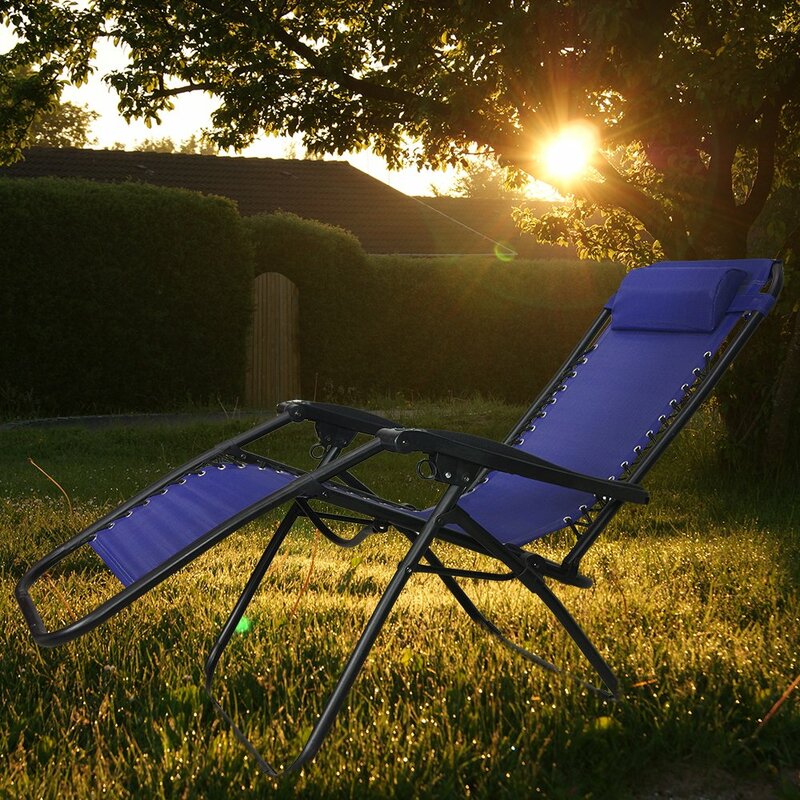 Luckily this isn’t too common but if you are on the heavier side it may be worth considering a more robust gravity chair from the oversized gravity chair category. The 3 recommended chairs below are all fairly well rated but they do (like most products) have some negative reviews that mention the issues listed above. For the most part though, they are considered fairly good by most buyers. With thousands of positive reviews the Caravan Sports infinity remains one of the most popular and well priced zero gravity recliners on the market. Out of all of the budget zero gravity chairs on this list it is one of the heavier options although many find it is fine for transportation. Although the weight capacity of the Caravan Sports infinity zero gravity recliner is listed at 300 lbs there are a fair few reviews that state this is not the case. In addition to this there are a number of users who have had the chair collapse while they are in it. If you are on the heavier side it is probably a wise choice to avoid this standard sized gravity chair from Caravan Sports just to be on the safe side. Despite not being considered the most sturdy of zero gravity chairs by some who buy it, there are still plenty of users that are very happy with their purchase. The comfort is good, the price is great and the design is fairly good quality. In addition to this you can get certain color options of this chair in a set of 2, which actually works out as a slightly cheaper option in some cases. If you weigh over 250 lbs this chair probably isn’t the best choice. But for the price it is a pretty good standard sized zero gravity chair for lighter and smaller users. The Sunjoy zero gravity recliner is not only well priced, it is also a very lightweight zero gravity chair making it a perfect choice for transportation and portability. Weighing only 11 pounds there are not many cheap zero gravity chairs or even more expensive brands that can match its portability. The Sunjoy is available in a range of color options and it is a fairly stylish choice for the price. Many love the comfort provided by these Sunjoy chairs and also love the price. They are also considered to be excellent chairs to take camping. As with many zero gravity chairs in this sort of price range the recline locks are not perfect and there are a few mentions of this in the buyer reviews. You will also notice if you watch the video of this chair in action on the retailers website, that it does not recline that far back. 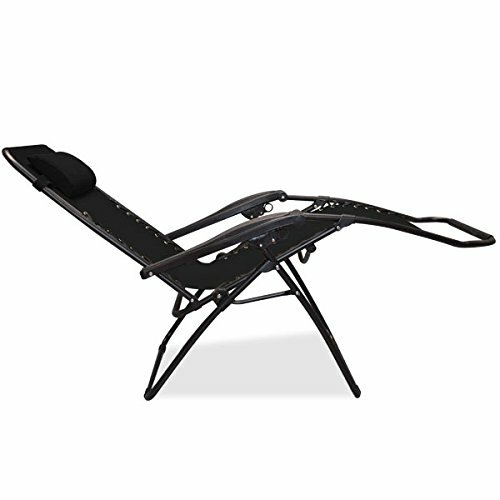 This may be fine for most users, however, if you are particular about having an outdoor zero gravity chair that offers a more true zero gravity position then you should probably expect to spend more than $50. Many buyers are very satisfied by the quality offer by this Amazon Basics zero gravity chair and state that the price to quality ratio is excellent. 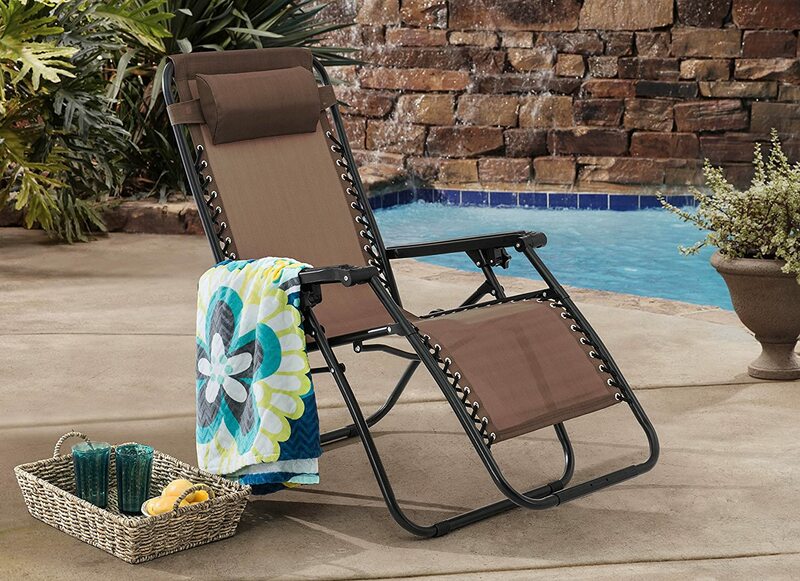 The Amazon Basics zero gravity chair is fairly comfortable and easy to use. The seat does a good job of supporting the body and unlike many chairs in this price range there is not a great deal of criticism toward the recline locking system, some do feel the locks could be stronger though. 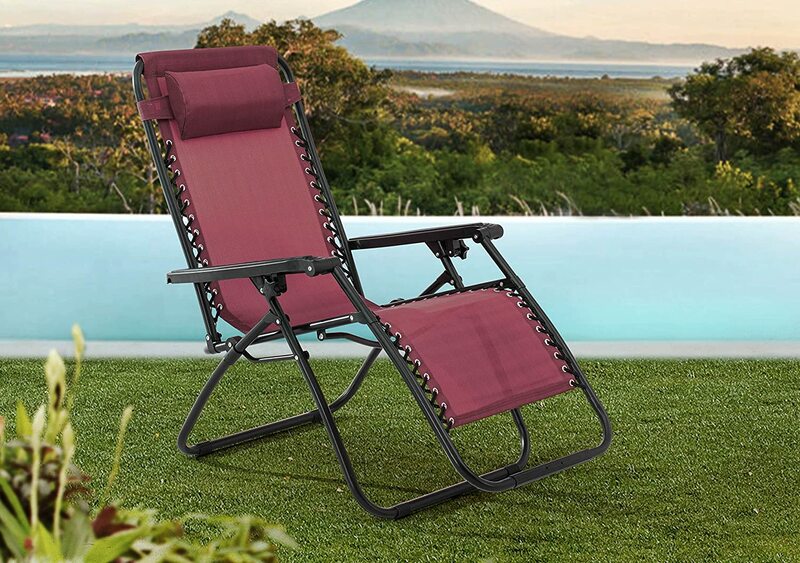 This zero gravity chair is fairly narrow and is therefore not ideal for larger users. It is however a fairly sturdy and strong chair for its size. If you are looking for a standard sized portable zero gravity chair in the $50 price range this may not be the most ideal choice due to its weight and bulky design. Although compared to many other zero gravity chairs on the market it is still a pretty lightweight consideration. Overall the Amazon Basics zero gravity chair is very good option to consider for the price, that surpasses many users expectations.